The Office Trivia Night! 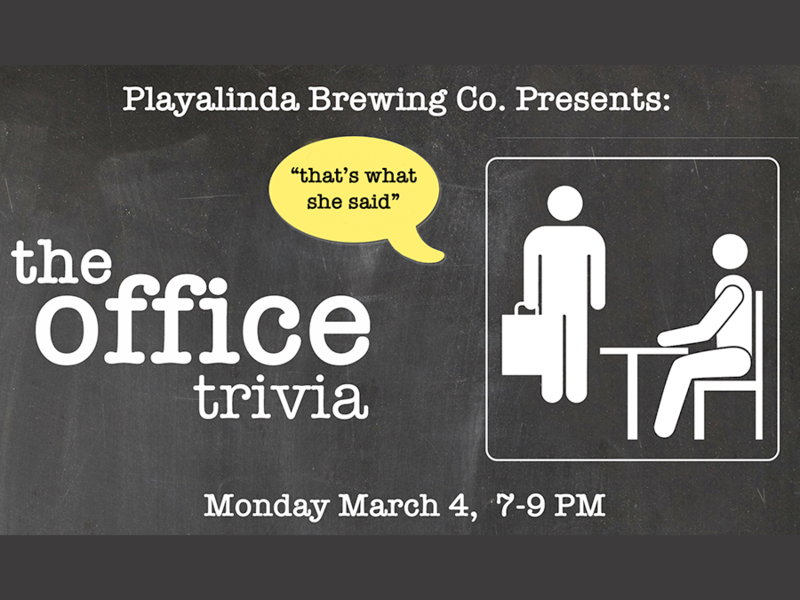 - Playalinda Brewing Co.
Playalinda Brewing Co. » Events » Monday Night Trivia » The Office Trivia Night! 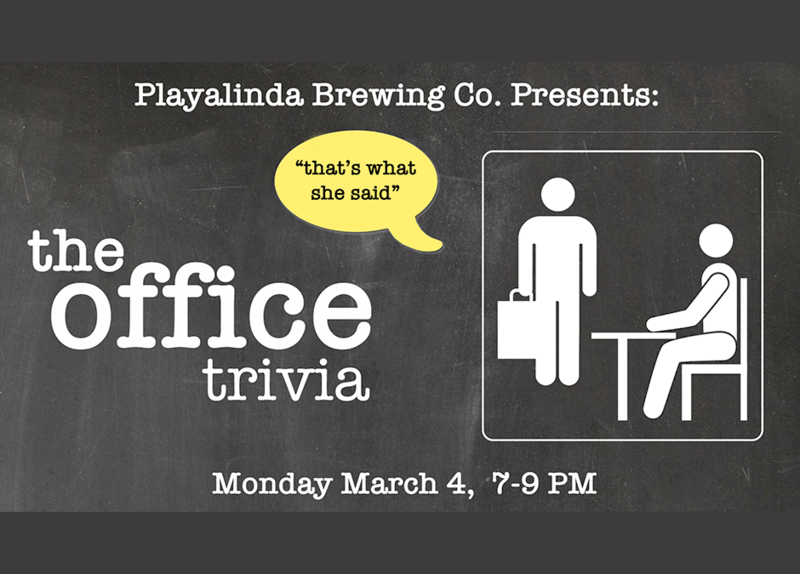 EventsMonday Night TriviaThe Office Trivia Night! Bring your advanced sense of humor and your coworkers (friends, family, World of War Craft friends, etc…) for another awesome night of themed trivia! This time around we will be quizzing your knowledge on the best TV show of all time…The Office! Want to earn some extra trivia points? Show up 20 minutes early and score an “early-bird” chip which is good for an extra hard point. You can play solo, or on a team of up to four people, as you battle your way through level after level of brain-boggling trivia on a quest to win Playalinda prizes.